Despite the need for global cooperation on the issue of climate change, Beijing has prevented Taiwan from attending a UN conference being held on the topic this year, raising questions on China’s behaviour. Next month [November 2011], the countries that are members of the United Nations Framework on Climate Change will meet in South Africa to share knowledge and coordinate strategies. According to its own charter, the UNFCC strives to achieve "the widest possible cooperation" from the global community. Taiwan, which has committed to cutting its greenhouse emissions 30% by the year 2020 and needs advice on how to do it, is not invited. This is part of a familiar pattern. An international problem emerges that requires full global participation to solve. By any reasonable criteria, Taiwan, which is among the world's 25 largest economies and a demonstrably good international citizen, should be a participant. Yet Taiwan's participation is blocked by the mainland Chinese government, which exercises an effective veto power by threatening other governments with economic or political retaliation for any perceived "recognition" of Taiwan. This is part of the Chinese Communist Party's strategy to bolster its argument that Beijing should have sovereignty over Taiwan, which has been ruled by the government of the Republic of China since 1945. Beijing's efforts to deny Taiwan "international space"—a diplomatic term of art for legitimacy or recognition as an actor in its own right in world affairs—are also a means of pressuring Taiwan's people to politically unify with mainland China. Beijing has played such games for years, and it is long past time for a rethink both by Beijing and by the foreign governments who play along. Recent improvements in cross-Strait relations should spur Beijing to ease its resistance, which increasingly seems petty and self-defeating anyway. China's Taiwan obstructionism is unfair to Taiwan's 23 million inhabitants, who are innocent pawns in Beijing's ploy to restrict Taiwan's autonomy. The mainland is using low-level coercion against Taiwan's people by making them international second-class citizens. This tactic is out of step with international norms, and in some cases is potentially harmful to Taiwanese. 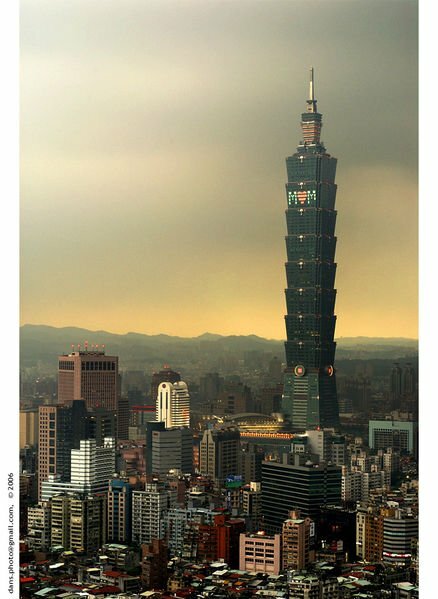 During the SARS outbreak of 2002-03, Beijing's insistence on representing Taiwan in the World Health Organization prevented the Taiwan government from directly working with the WHO, perhaps resulting in unnecessary deaths. Mainland restrictions of Taiwan's international activities also weaken efforts to solve global problems, squandering the potential contributions of Taiwan's experts. One example is the International Civil Aviation Organization, which manages the safety and efficiency of international commercial aviation. Taiwan's inability to participate in ICAO is absurd considering that Taoyuan International Airport near Taipei is the world's eighth busiest for cargo flights and the 18th busiest for the movement of passengers. Finally, Beijing's policy is counterproductive to China's own interests. Beijing is currently trying to persuade the global community that a stronger China will help to build a more just and peaceful world, and particularly that the mainland government supports global norms. At the same time, it is seeking to establish cross-Strait "trust" and convince Taiwanese that recognizing the mainland regime as their central government would not be so bad. Beijing understands that if China wants peaceful unification, it must win the hearts and minds of Taiwan's people. Threatening them with missiles and tormenting them with isolation will not achieve this goal. The present mainland policy reinforces Taiwanese distrust and resistance to unification. Ending the policy of international exclusion of Taiwan would be a much more effective alternative. This might encourage some Taiwanese to take a new look at the "one country, two systems" deal Beijing has offered them, which has been a non-starter up to now. Granting Taiwan greater scope at international organizations would be a low-cost tactic for Beijing. Every national government on earth is aware of Beijing's claim of sovereignty over Taiwan. None will conclude that Beijing has given up this claim based on a decision to make its policy more reasonable, compassionate and consistent with international norms. Instead, China would gain in international prestige from such a move. Nor should the fear of unintentionally encouraging separatist activism in Tibet and Xinjiang stand in the way of a conciliatory gesture toward Taiwan. Beijing has already treated Taiwan as a special case requiring a unique solution. Tibet and Xinjiang are provinces under the control of the central government in Beijing and occupied by People's Liberation Army troops. They also have access to international organizations through mainland membership. Taiwan, on the other hand, is completely autonomous, ruled by its own democratic government, and outside the mainland's systems and agencies. China has promised Taiwan that after unification Beijing would send no troops or officials to the island. The precedent for China allowing some international participation by Taiwan is already set, provided Taiwan does not use a title that implies statehood. Taiwan is a member of the World Trade Organization as a "customs territory." It has long sent teams to the Olympic Games and since 2002 has participated in some regional fisheries management organizations under the name "Chinese Taipei." Beijing cares deeply about reclaiming Taiwan, but it also cares about cultivating a positive international image. Making the lives of Taiwan's people more difficult and weakening international organizations by excluding Taiwan does not strengthen Beijing's case for sovereignty over Taiwan, but it does hurt China's reputation. When an international outcry is strong enough, Beijing will back down. In 2009, Beijing finally stopped blocking Taiwan's participation in the World Health Assembly after a sustained campaign of international pressure. Such pressure should continue. Taipei is currently making a push to join the ICAO and the UNFCC. The international community should support Taiwan's membership. Beijing amply makes its point by opposing Taiwan's membership in the United Nations, but the Chinese leadership should stop obstructing Taiwan from playing its natural and necessary role in meeting global challenges by joining international organizations focused on specific, practical issues.